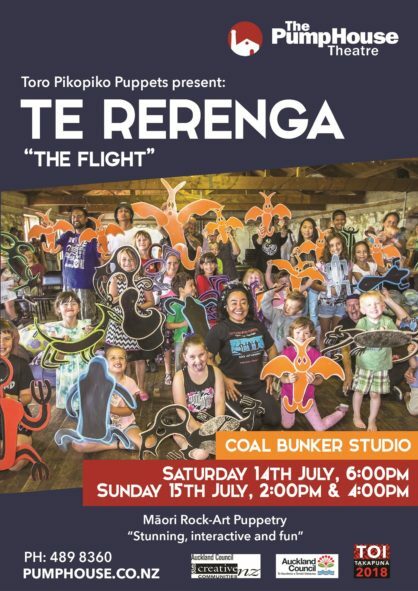 Toro Pikopiko Puppets present TE RERENGA – THE FLIGHT, the world’s first Maori rock-art puppet show! The show re-tells a Ngai Tahu legend about Pourangahua and her epic flight to Aotearoa, with the aid of Matariki stars and migrating whales. She flies from cave to cave, meeting a host of colourful characters including Bats, Creepy Crawlies, Moa, Pouakai Eagles, and Human Bird Hunters – intent on making Pourangahua their next meal. 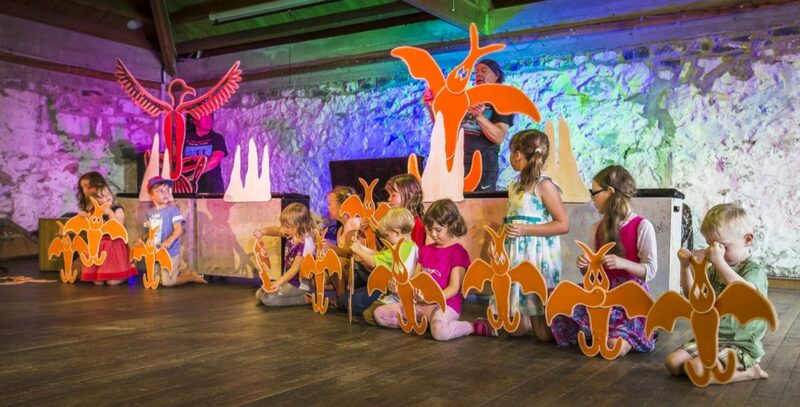 TE RERENGA – THE FLIGHT is a forty-five-minute, interactive, acoustic rock musical, featuring 80 ‘Flatso’ puppets inspired from ancient cave drawings around the Timaru district. *Kids, bring a cushion! The more we can fit, the merrier!